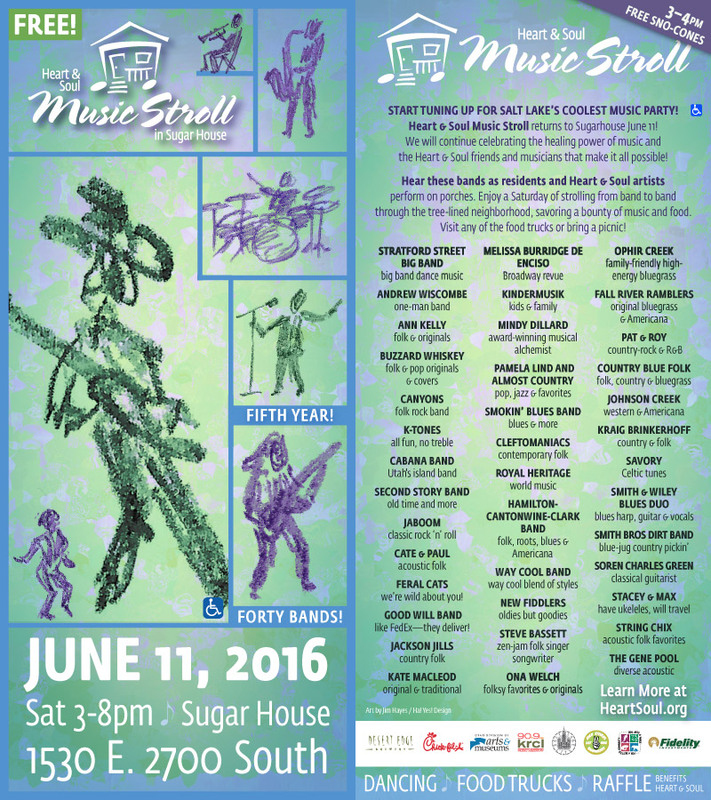 Hello Visitor, Join us in Sugar House this Saturday, June 11, 2016 from 3pm to dusk for the most popular FREE music event of the year: Heart & Soul 5th annual Music Stroll. Over 40 FREE musical acts will be sharing the HEALING POWER OF MUSIC with you and the community, some of the top local bands bring their talents to the streets near Imperial Park, playing from neighborhood porches and yards. Bring your friends and family to enjoy a Saturday afternoon strolling from house to house, yard to yard, band to band, through the tree-lined streets of this Sugar House neighborhood. Savor the music and hear the love. You can also savor the flavors from several local food trucks at the stroll. Some amazing prizes are available in the raffle, buy tickets at any welcome gate or with the roaming bike. 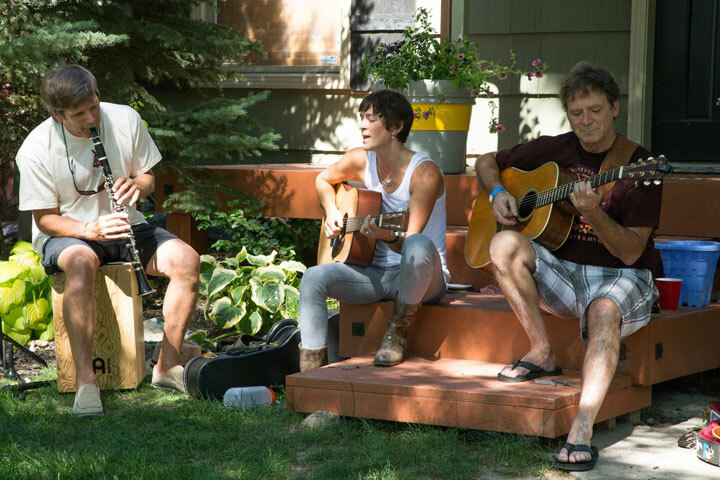 All proceeds from the raffle drawing and donations benefit Heart & Soul and their mission of bringing music and performing arts to isolated people along the Wasatch Front. Remember…..no tickets are required to attend this FREE event. Please park outside the event area or better yet, walk or ride your bike! Bike racks will be available at the Highland Stake Center (2700 South and Filmore St) so you will be able to secure your bike. As a friend of Heart & Soul, you helped us bring the healing power of music and performing arts to over 22,000 individuals last year. With your continued support we hope to produce over 925 shows in 2016 aimed at healing human spirits with music and performing arts to isolated members in our community.